Mike is driven to solve technical problems in the most practical way possible. To do this well he developed a diverse set of skills to truly understand the problem(s) at hand and a depth of technical knowledge to create great solutions. Lifelong interests in technology, math, and science and that drive to solve problems led Mike to pursue a Computer Science degree at Texas A&M. He wasn’t content to learn about software in a classroom, he wanted to apply concepts in real-world settings as soon as possible. His final three years of college he worked professionally developing software. First as a co-op student for a (then) national telecommunications company and later part-time for a software consulting company. This ‘dual education’ allowed Mike to graduate with a strong academic foundation and the practical skills to apply his knowledge. After completing his degree Mike continued to work for the consulting company, helping the company grow from 4 employees to more than 60 over the course of a decade. He gained expertise through success on a diverse set of projects. Project work included data acquisition and control, database applications and user interface design. During this period Mike also built software teams, studying software project management, estimation, requirements gathering, application lifecycle management and learning to effectively mentor junior developers. 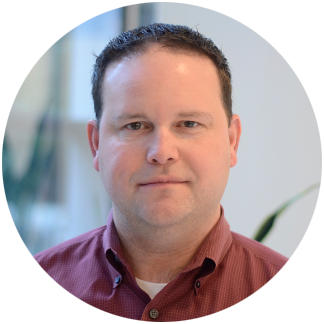 Mike’s most recent work includes database design and front-end development for enterprise resource planning systems. He continues to look for difficult problems needing great solutions. What makes a great solution? He says first and foremost it has to work well, meeting both the functional and non-functional requirements. A solution can’t just work it has to work fast enough, be intuitive to the user and be maintainable by the developers to be great. Outside of work you’ll find Mike traveling with his wife and three daughters to explore a natural wonder, playing golf or enjoying a good meal with friends and family followed by a card game.